So you read one of our previous posts on home staging and you’re interested. That’s great but are you confident enough in your own skills to do this job yourself? If not, you might want to consider hiring a professional home stager— just remember to find the right one for the job. Several studies have shown the raw power behind an effectively staged home, and the best can make an unsellable home a hot commodity. Identifying a really qualified home stager will involve some research on your end though. So here are a few tips that might help you hire the right professional here in Central Florida. Real estate agents will tell you that something is wrong if a home goes “unnoticed” during its first three weeks on the Orlando housing market. Often, the relative lack of action has a lot to do with how the home has been staged (both inside and outside). First impressions are key and good one needs to be established right from the curb. If you want your home to look like it came right out of a magazine, then you’re probably going to need a professional. This also seems to be an expense that many homeowners are hesitant to make. The data shows that this is an expense that will pay for itself when done well. Homes with sprawling layouts make it harder for a potential buyer to visualize how they might designate each room. 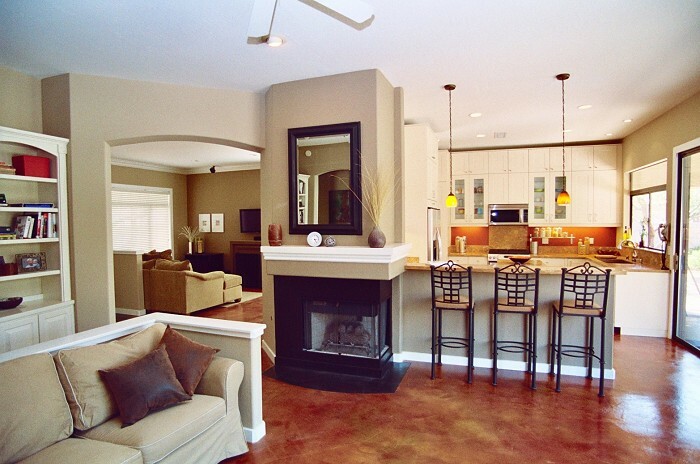 Larger homes should have a story behind the layout that will make them even more visually appealing. You want to find a professional that knows what the competing listings in Orlando look like and can help you tell your home’s story in a unique way. The best have a wealth of accumulated knowledge and know-how that will let them see something new and exciting in a room’s potential. An unused room can become a music room or even an indoor fitness space. At this time, the home staging profession is largely unregulated— meaning just about anyone could call themselves a “professional”. The lack of certifications or degrees mean you’ll need to look at a person’s background. Committed professionals should have a history that speaks to it– stagers that have taken classes on design and real estate can be great. Quality home stagers will also have a website to showcase their previous projects. Finding the best home stager doesn’t mean that you’ll be paying for the most expensive one. You’ll want to outline a good budget for the project before you get started. In order to cut down on costs, try and find a professional stager who is willing to work with the furniture that you already own. You can also use a company that owns their own staging furniture if your pieces won’t do the trick. Picking the brains of a team of real estate professionals can be a great idea if you find yourself stuck in the mud. You need a home stager who is knowledgeable, engaging and has proven results. Real estate agents don’t use anyone they won’t trust, so their advice can be quite valuable. It would be a shame to let your home sit on the market or even sell it at an undervalued price. Ensuring that the home looks appealing through and through is a necessity. Whether you feel like this is a project you can do on your own, or you want to bring on a professional, there’s no skipping this crucial step in the home selling process. If you want top dollar then stage your home!